Online freelancing is not all about being a web guy. Anybody in any of their preferred niche can be a freelancer. Data Entry and Web Development are the most competitive freelancing niche and neither of them is a very highly paid skill which makes it even more difficult for developers to be a freelancer. So if you want to be an architectural freelancer, the first step is to know how to find clients for what you can offer. So let me share some key ways to be able to find architectural projects and jobs as a freelancer. CoContest is an interior design contest site where architectures and interior designers can participate for a cash prize. If you are participating in a contest, need to submit the following. The price buyer of design pays is good which means the winner gets most of it. 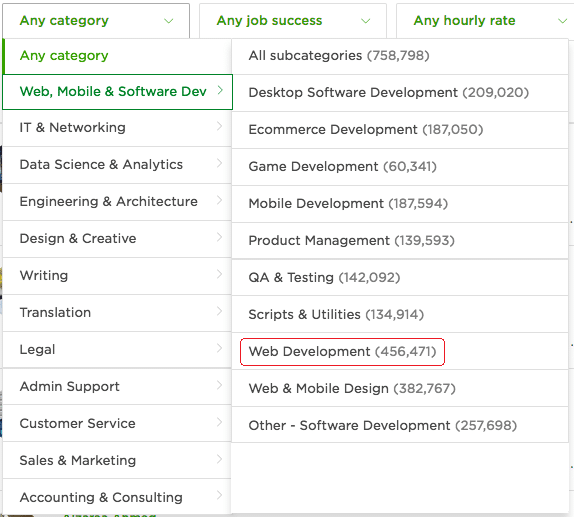 After a merger of oDesk and Elance, Upwork has projects from every category that one can think off and it has Engineering & Architecture category which has hundreds of projects on 3D Modeling, CAD, Architecture and Interior Design projects to bid for. As a freelancer, you cannot ignore Upwork. List your service as gigs on Fiverr. You don’t need to offer everything for $5 and there are many gigs in architecture section that starts for a lot more than $5. On top of it, Fiverr gigs can provide you a starting point to understand what kind of product or services clients are looking for and what type of gigs work more than the others. 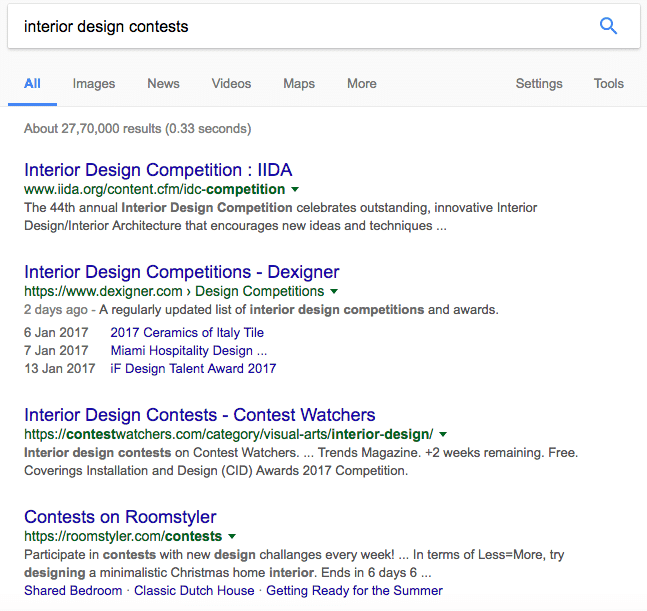 Google for “Interior Design Contest” and participate in them. If I do a Google search from India on 22nd Dec 2016, I see the following contests where some are ending in Jan 2017. Every freelancer must have a blog and it is the best way to find clients. Have a blog on architecture, home improvement, interior design or any related niche with an option to hire you. Anybody searching in Google can find you, and if your articles helpful, you will find clients who are more than willing to work with you. As the blog grows, it can open up an opportunity for an eCommerce platform to sell your digital products or services.